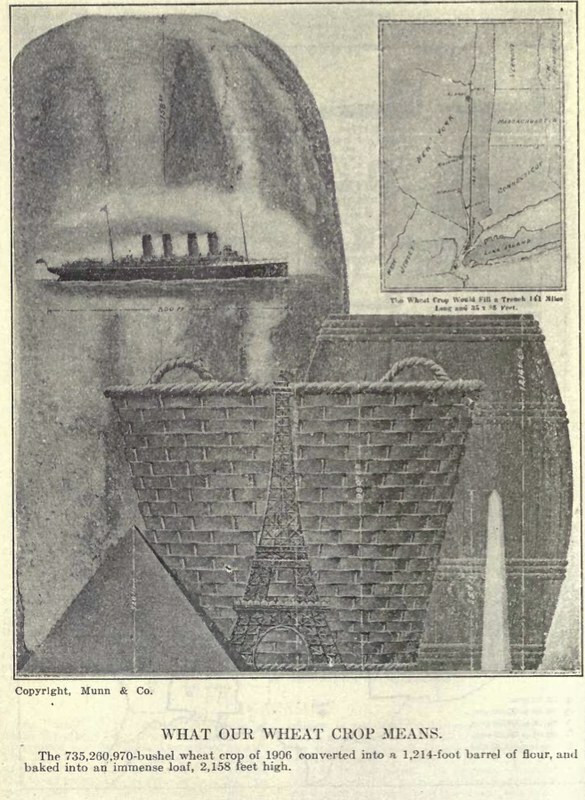 The Scientific American Reference Book of 1913, compiled by Albert A. Hopkins and A. Russell Bond, is available to read on the Internet Archive… a delightful snapshot of the concerns of readers of the magazine a hundred years ago, as well as an interesting tour through infographic design strategies au courant at the time. “The Editorial staff of the Scientific American receive annually about 15,000 inquiries covering a wide range of topics,” explained Hopkins in a preface. While the magazine had earlier published a Scientific American Cyclopedia of Receipts, Notes, and Queries (which did well, selling 25,000 copies), the book didn’t quite fill the needs of every reader; letter-writers wanted general information about the world, not just scientific formulas. More backstory and examples at “A Treasure Trove of Awkward Early-20th-Century Infographics.” Page through the entire volume here. 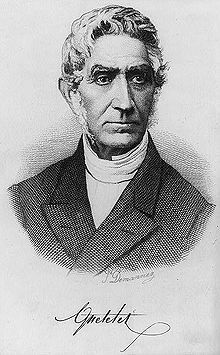 As we compress, 1000 words at a time, we might send statistically-significant birthday greetings to Lambert Adolphe Jacques Quetelet; he was born on this date in 1796. An astronomer, mathematician, statistician, and sociologist, he was instrumental in introducing statistical methods to the social sciences. From 1825, he wrote papers on social statistics, and in 1835 gained international recognition for publication of Sur l’homme et le developpement de ses facultés, essai d’une physique sociale, in which he used the normal curve (which had previously been applied to error correction) to illustrate a distribution of measured human traits about a central value– pioneering the concept of “the average man or woman.” One of his primary foci was public health: his establishment of a simple measure for classifying people’s weight relative to an ideal for their height, the body mass index (AKA, the Quetelet index), has endured with minor variations to the present day.